The technical customer support team at Fluid Imaging Technolgoies not only travels to our customer sites domestically and internationally, but we also encourage our customers and company representatives (reps) to visit our facility. We can host individual and group trainings for up to 12 people; from basic to advanced training levels. With a full service particle analysis laboratory, our team is fully equipped to train new customers and advanced technicians. Heather Anne with the SunYear rep team in front of our headquarters in Scarborough, Maine, in December 2016. In addition to training, we work closely with our laboratory director, Ben Spaulding, who can provide advanced method development and routine lab services. For more information about our PAS services, please visit: http://www.fluidimaging.com/services. Fluid Imaging Technologies hosted several on-site trainings for our international service reps at our Scarborough, Maine headquarters. In early May 2016, we hosted Axel Wilde from Anasysta in Germany for training on our new 8000 series instrumentation with the new ALH (Automated Liquid Handling). Additionally, we hosted Mark Williams from Kenelec Scientific in Australia, and Luis Gerardo Vazquez for advanced field service training to provide installation and qualification services to our customers. May proved to be a busy time of year for training as we also hosted a week-long training for our 2 reps, Suhaila Binti Ramli and Zainal Anuar bin Buyong, from our full-service rep Arachem in Malaysia. 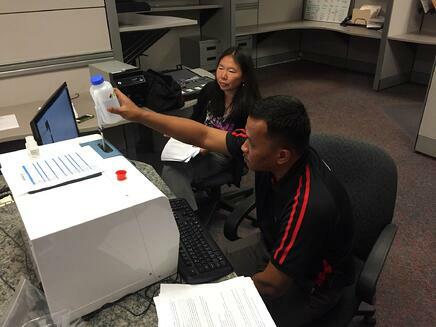 (Right): Kay with Zainal Anuar bin Buyong from Arachem during an in-house training on the FlowCam VS.
We rounded out the end of Q4 in 2016 for our team at SunYear Scientific in China by hosting them in late December here in chilly Maine! The first half of 2017 has already shaped up to be a busy year for our team, with trainings scheduled for our international team at Merkel Technologies, Ltd. in Israel and several international customer trainings. We look forward to working with our new and existing customers. Please contact us for remote and on-site facilitated training. 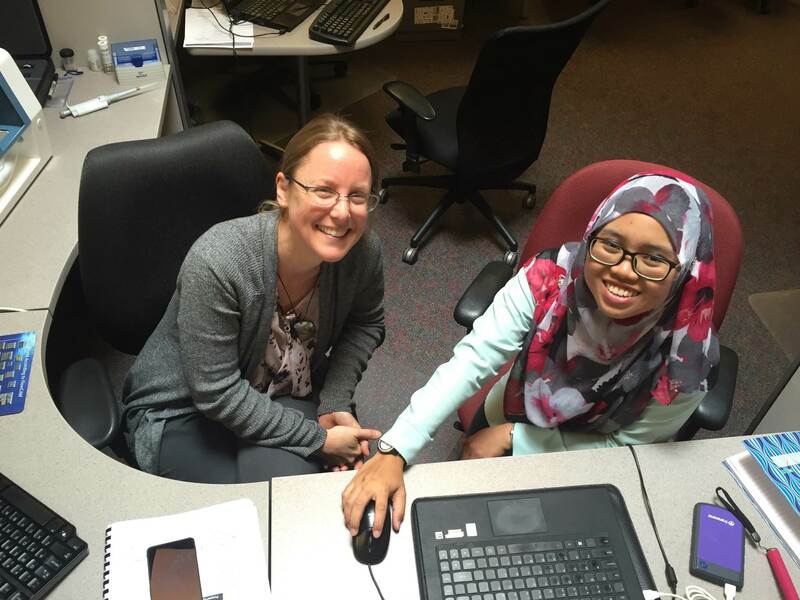 (Left): Heather Anne with Suhaila Binti Ramli from Aracham during an in-house training.